A socialist blog taking inspiration from a broad spectrum of schools, traditions, philosophies and practices on the left as well as contributing some new ideas. I'm a mutualist anarchist (amongst other things), I've been thinking practically today. Here are the results of my thinking, I hope someone finds them useful, at first glance a post that seems to be about me, a broad sweep of anarchist history and ends on a list of goals might seem odd but it all came from the same strand of thought, it's all connected. If you were to scroll down through most of the posts on this blog you'd find that there is more theory than anything else, or at least more discussion of topics in the abstract than the concrete. I've always tried to pepper it with some stuff about real life; in 'why I have decided not to eat anything for a week' I ranted on about why I was refusing food and in 'predictions for 2015!' I laid out exactly what I expected from this year (much of which has already happened). Action without theory can be cut adrift and become pointless but theory without action is dead. I'm not going to give you my whole life story, I just want to prove I'm a real person who might not be all that much different to you. This blog is read by people all over the world, the majority of which I have absolutely no personal connection with, some I chat to on-line from time to time and some I actually know well in real life. I'm someone who has always had a concern for the world, I've always had an opinion and sometimes done something about it. On the other hand it's only been relatively recently that I really grasped a bigger picture and found an ideology to grab a hold of. An ideology that helped me to understand how many of the problems of the world are connected and where they are systematic they share certain characteristics, characteristics that to me seem changeable. Sound vaguely familiar? It won't to everyone, I reckon it will to quite a few though. When I was a student about 8 years ago I became interested in a fairly standard version of statist "socialism" (I wouldn't have been able to define socialism in any sensible way), nothing too exciting, just high taxes and redistribution of wealth and the like. I quite liked fair trade, I helped run a little fair trade market stall, I voted for the furthest left option on the ballot paper and I went to volunteer to work with homeless people. After I finished my studies I went to work full time with homeless people. I soon felt that the real life was failing to live up to my lefty expectations. It seemed that the welfare available for people in poverty wasn't helping at all. My sensibilities were offended. Some of the people I came into contact with in my work said that they believed they were entitled to housing, money and other kinds of support despite not doing any work or having any particular intentions to do any work. After one too many interactions with aggressive seemingly self-entitled people I felt lost. I concluded that the problem was that lots of people were generally lazy and wanted to go through life getting as much as the could for nothing. It didn't take me long to identify the state as the main means by which people were able to do this, a few Wikipedia articles later and I was a libertarian. I wasn't comfortable with the kind of libertarianism I'd stumbled on though, my frustrations were only temporary; bound up with being tired from having a young family and not understanding what it's like to really struggle in life. My own life continued to take it's course and I realised that I wasn't immune from things going wrong myself. I saw the obvious; the state was not a collectivist project where the unproductive poor ganged up on the productive rich to rob them, instead the state was the armed wing of the wealthiest in society, ensuring that they are able to continue to exploit the rest of us, helping them to socialise their costs and allowing them to privatise their profits. I looked leftwards and saw anarchism stretching out before me. Was there some kind of leftist ideology that also opposed the state? Yes and it really started blowing my mind once I started to read up on it. I still work with homeless people, having now moved on from my previous job to one which gives me a significant amount more impact. I'm able to try to put some of the principles of anarchism into practice. Trying to treat people as equals, trying to be as empowering as possible, trying to help people fight the system possible. I'm really glad I have this work to do. On the other hand I really want more. I want to make a difference and there is only so much you can or should attempt to do through the means of a conventional charity. Some days I end up angry and feel like all I'm really doing is reading up on things on-line, watching videos, debating things on Facebook, writing blogs... how is this going to make the world change? If I'm honest it sometimes feels like a computer game where I've chosen a side and some evenings when I'm not to tired I go on-line and play for a bit. Now I have all kinds of ideas about the world that seem huge and not all that much real contact with anyone who shares them. Are you in this position too? There must be a few of us. In order to know "what now", I think we have to understand our context. Anarchism is brand new in terms of human history. For most of our time on this planet there was no such thing as the state, people lived in small bands, hunting and gathering, living largely as equals. As the way we have organised ourselves politically became more complex, bands became tribes, tribes became chiefdoms, chiefdoms eventually became states. Our economic arrangements moved in tandem. The more centralised the political arrangements became the more we found that certain people were put in the position of ruling over others and exploiting them. Hierarchy. A kind of primitive communism became feudalism and feudalism became imperialism which eventually morphed into capitalism. Radical ideas about freedom and equality have been talked about ever since we lost both of those things. Anarchism, in the last 150 years that it has existed as an idea which is consciously embraced, has been the way many of us talk about our yearning for these things under capitalism. Zooming in more, anarchism itself is on the rise. It had reached something of a climax in Catalonia Spain, 1936-9 but in the second half of the 20th century it began to seriously seep into popular conciousness. Anarchist elements have been active in many protest movements and other forms of activism ever since. Whether the attention it got from the punk movement in the 1970s was particularly helpful isn't completely clear to me but interest in it only grew. Since the dawn of the internet in the late 1990s anarchism has exploded. Zooming right into our own context and time we see a huge resurgence of individualist and mutualist anarchism which could only be said to have begun in the last 10 years. On top of this we live at a time when two anarchist/ anarchist like experiments are in progress; the Rojova revolution in Syria and the Zapatistas in Mexico are both significant, we don't have to just theorise any more, we can look to societies where anarchism has had and is having massive influence on the everyday lives of many people. Whether we are on our own or regularly meeting and working with other anarchists we live in very interesting times. 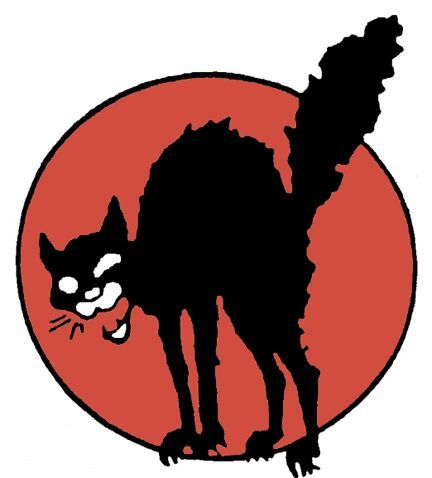 When else before now have thousands of anarchists from all over the world been able to talk to each other this easily, to learn from each other, to spread ideas, to hear the latest rumours, news and developments. Even if we feel isolated we know that anarchism is not a game. If the printing press changed the world the internet will change it again, at least as much and has already done so and will do more. Many anarchists are active on-line but what kind of impact is this having specifically on the movement. I'm not qualified to make a full diagnoses but I would say on the whole it has been beneficial. So many new people have been reached by ideas they would likely never have been exposed to before, in addition new developments in our theories and ideas are coming at an unprecedented rate. It doesn't come without risk though, the risk is that it becomes possible to mainly just talk. Not to talk by reflecting on what we have done together but to talk just about ideas, conjecture on what might happen if an anarchistic revolution occurred, how it might occur, what would happen afterwards, what should happen afterwards. It's not that anarchists are just talking and not acting right now, not at all. It's also not that talk is unnecessary, even talk about theory alone is perfectly valid. It's just that it now feels possible to feel involved but never to have actually met another anarchist or done anything particularly anarchist-y, those of us who are not as involved as we would like to be need to be aware of this and see if we can begin to go beyond the internet. Meet a mutualist anarchist in real life (it happened once before, it could happen again!). Attend a protest (I used to do these from time to time but haven't for ages, I have one planned for April). Visit more anarchist book-fairs/ attend an anarchist meeting on something I have a particular interest in, see what I can do to help (probably something housing related). Has identity politics killed solidarity? - (Janet) Guest post!